Apple’s CEO Tim Cook said in a conference call that sales for the holiday quarter would “likely miss Wall Street expectations” and cited “weakness” in emerging markets and foreign exchange costs as potential reasons. Cook further added, while responding to investor’s questions, that weak markets included India, Brazil, Russia and Turkey. He said that sales were flat in the fourth quarter in India. 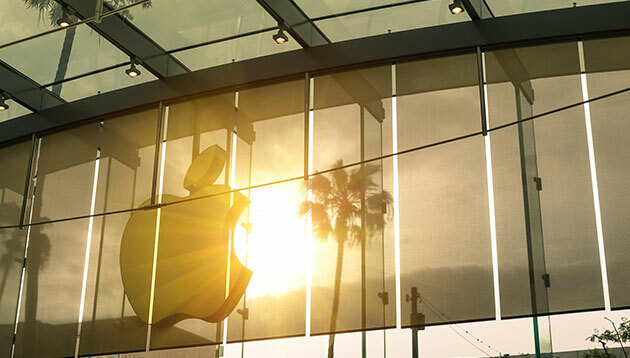 Meanwhile, Apple recorded a US$62.9 billion revenue this year, a 20% increase from last year. According to financial chief Luca Maestri, this was the highest growth rate in three years. Apple also saw a 41% year-on-year in earnings per share, as it cited the purchase of iPhones and wearables in every geographic segments. Meanwhile, just earlier this year Apple and Salesforce entered a strategic partnership that brings together the customer relationship management platform and iOS. Working with Apple, Salesforce is redesigning its app to embrace the native mobile platform with exclusive new features on iOS. The companies will also provide tools and resources for millions of Salesforce developers to build their own native apps with a new Salesforce Mobile SDK for iOS, and a new iOS app development course on Trailhead, Salesforce’s free, web-based learning platform. WhatsApp to feature ads: Can it balance between monetisation and intrusion? The athlete in question also told Marketing that the blackout period has caused him to miss out on potential brand sponsorships. ..
A series of hashtags including #WorkRage, #Hungover and #Heartbreak will be used to deepen its engagement with social media users ..
Briefs from hell are a common frustration for agencies. Here's 7 ingredients for the brief from hell. Is yours one of them?..